clear embossing onto the art part really makes him POP! looks like he's stepping up to deliver that flower! just add a different wreathe & it fits any holiday! Michelle Salazar did a GREAT job! love them, especially on a kraft card! 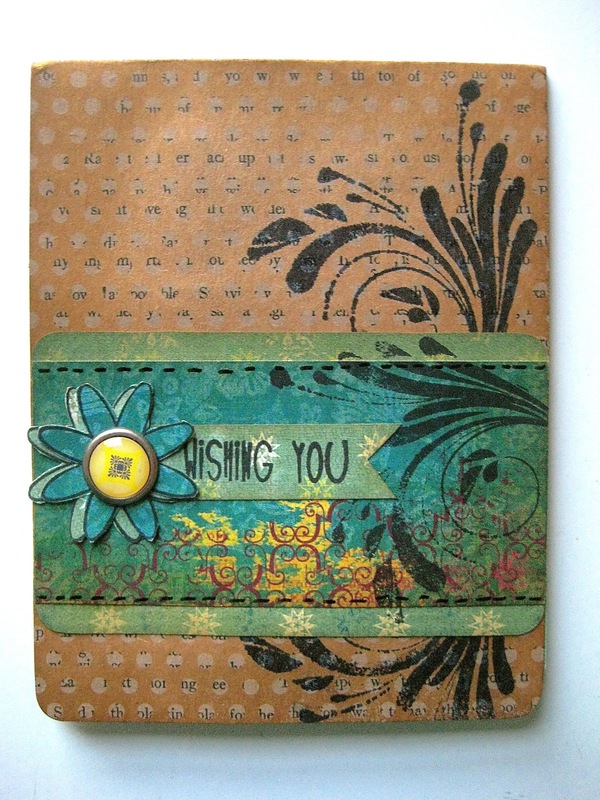 the flourish stamps make the perfect leaves & grass! for sure I LOVE the flower! it's a great detail & really frames & finishes off the card! they sure made me HAPPY! blog/group friends are THE BEST! I. CAN. NOT. WAIT. TO. SHARE. but who would I be kidding? Hey! It arrived safe and sound! Huge phew! Happy, happy birthday again Wendy!!! Meant to add what fabulous cards others had sent - must have been real fun opening them all! So glad you had a fabulous birthday, and what amazing cards... love them all. Your so loved. Keep making Art! Thanks for sharing all the beautiful and creative art!! Can't wait to see all ur sneeks! And happy belated birthday!! What wonderful cards - for a wonderful woman! I'm sorry - I don't think I even remembered to wish you "happy birthday" via Facebook (did I? lol). Regardless - HAPPY (belated) birthday! The big question, of course, is - did you get new shoes for your day? Hope so! So glad you had a great birthday! Thanks for sharing your cards with us. They are all amazing and it is cool to see what others do. Cannot wait to see those peeks! So is CHA earlier than last year? Thought it was in February?? Glad your special day was so awesome! Bring on CHA sneak peaks! Yeah, the Bears sure could use some joy about now. Sigh. I love seeing all the cards, and man did you do some major work here! Talent all around! I hope is was a great day. I'm a little bummed though that my card is not there. I paid extra and the post man said you would get it Wednesday. So sorry. I hope it comes today. Wow glad you had a great one! the cards are sure art inspiring too! way to go gals! Thanks for your inspiration as well Wendy ! So glad you had so many birthday greetings. Love seeing how everyone used your goodies, and I am REALLY impressed by your ability to hold off till your birthday... I'm not that strong! What beautiful cards everyone has made! So glad you had a wonderful birthday! I'm so glad you had a nice day!!! What a wonderful group of cards!!! Waiting to open them all until your birthday..... ya, that's an amazing amount of willpower. So glad you liked my card!!! I love how your clicker cuts flowers match the art parts flower... makes it easy to layer!!! I am so glad you had a wonderful Birthday..you deserve it every year! You were well-celebrated. :) Love all the cards. All the cards are s cool!! 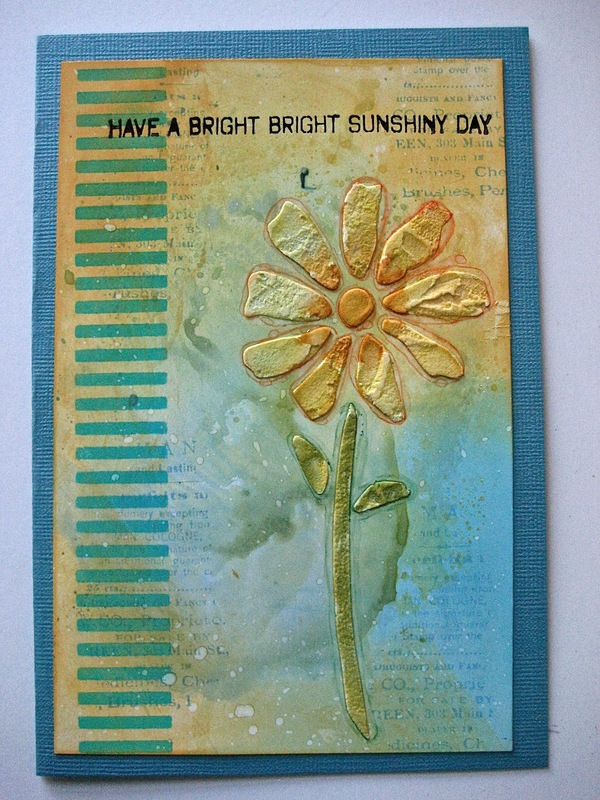 thank you for sharing your cards - lovely art - hope you had a great day! So glad to see that you felt some birthday love! Thanks for sharing the cards that you received. Wow, what a haul you got! Fantastic art there! Hope your birthday qwas the best! 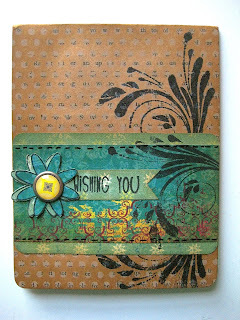 It was thrilling to see my card on your blog, but even better was seeing everyone else's. Tons of inspiration for sure. I'm so glad you had a great day; you give so much to us, you deserve it! Thank you for sharing these great birthday cards! 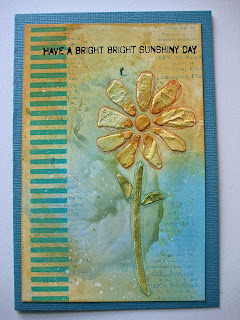 ah Wendy blog hopping with electric paperie today. walking on the bad side...your products rock when it comes to my DT work with Smeared Ink. I have given the skullies cat eyed glasses top hats..i have used your art parts I have added new concept of Gothic art thanks to you and now I have people all the time asking where I got this like the cat eyed glasses or where did I get the idea to layer the background like that..so fun to send them to you. Have fun with your wild adventure..be careful it is catching.